The birth of a child is supposed something that brings the ultimate amount of joy to parents and surrounding family and friends. It is a time when two people come together to bring new life to the world. 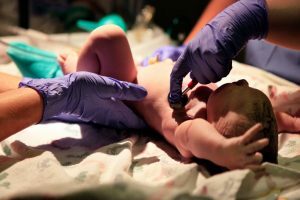 A baby is born every eight seconds in the United States; so, you would think delivering a baby is a routine process for a doctor. It should be, right? Unfortunately, it’s not. There are a wide variety of complications that can arise when delivering a baby. For example, the baby might not get enough oxygen post birth, the mother’s blood pressure may get too high and cause blood loss, or there could be a miscalculation by the doctor regarding the size of the fetus. All of these examples may cause birth injuries or in some cases death, to the mother or baby. If you have experienced a complication during birth, contact us; you might have a medical malpractice case and are entitled to compensation for your pain and suffering. Injury to Infant – The parents or guardians of the baby are responsible for bringing this lawsuit. The parents or guardians can be compensated for general and special damages. General damages include the cost of suffering, mental and physical pain, and loss of enjoyment of life. Injury to Mother – The mother, or spouse in the case of death, brings this type of lawsuit when doctor’s negligence and reckless action causes injury to the mother of the child being delivered. An example of this is the doctor failing to watch the mother’s blood pressure. Emotional Injury to Parents – This lawsuit is self-explanatory. The parents of the child who was injured or died due to the doctor’s negligence can sue for emotional pain and suffering. 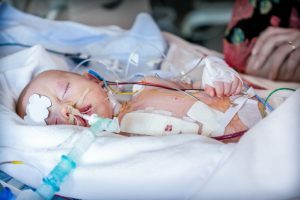 Wrongful Birth – A wrongful birth case can be brought about if the parents would have taken action to avoid or end the pregnancy if they were made aware of any birth defects their baby may have. If your doctor fails to make the birth defects of the baby known, you may be entitled compensation to cover any forecasted, present, or past medical expenses. Wrongful Pregnancy – A wrongful pregnancy case can be brought about if the parents took an action to avoid or end the pregnancy and it failed. For example, if you have experienced a failed abortion or vasectomy you may be entitled to compensation. What Can Go Wrong During the Birthing Process? Although delivering a baby is a routine operation for a doctor, there are a number of things that can go wrong. It can be an honest mistake by the doctor, or a result of negligent or reckless acts from the doctor. All of these can factor in causing a lifelong defect, injury, or death to either the baby, mother or both. If you have been affected by any of these factors, please reach out and contact us today; you could be entitled to compensation. Cerebral Palsy – A group of disorders that cause problems with functions like movement, sight, hearing, and cognition. Caused by lack of oxygen, brain trauma or bleeding, and brain toxins. Brachial Plexus Injury (Erb’s Palsy) – Paralysis or weakness in baby’s arm. Caused by too much pressure being applied to the baby’s head and neck area during the delivery. In turn, causing the nerves in the shoulder to tear. Cervical Dystonia (Spasmodic Torticollis) – Injuries to the head, neck, or shoulder that cause the neck muscles to tighten involuntarily causing your head to twist or turn to one direction. Shoulder Dystocia – A rare injury that can occur if the head and neck of the infant get stuck behind the mother’s pelvic bone. Shoulder dystocia can cause serious injury or even death to the mother and infant during the birthing process. C-Section Injuries – A c-section occurs when the physician decides that a standard birth will cause the mother or infant harm. If the physician does not take precautions a c-section can cause facial lacerations, fractures, cervical cord injuries or nerve damage. The baby may also suffer respiratory complications which can lead to further issues later in life. If you, a loved one, or your child has suffered an injury or death during or after the birthing process you may be entitled to compensation. Do not hesitate to contact the Eisner Law Firm office to fight for your justice. Our team of experienced attorneys will get you the highest return possible.